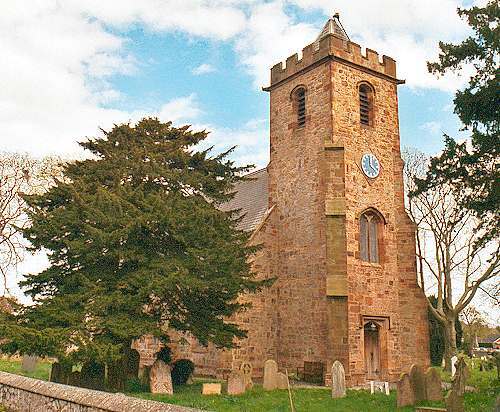 Broughton (Welsh: Brychdyn) is a constituent church in the Rectorial Benefice of Hawarden - it is not a separate parish. St. Mary's church was consecrated by the Bishop of Chester on the 8th of September 1824. The chancel was added in 1876-1877. For family history information about the church and parish, visit the GenUKI Broughton page.